Few weeks later, the pods dried out and split open by themselves. Feeling really curious, I took a few pods and examined them. I couldn’t believe what I saw. 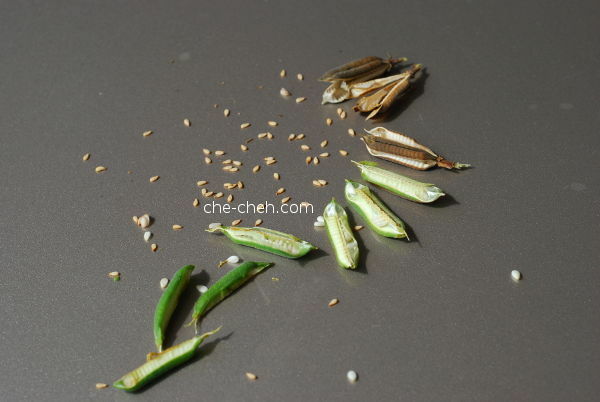 Even asked my sis to confirm if this is really sesame seeds! 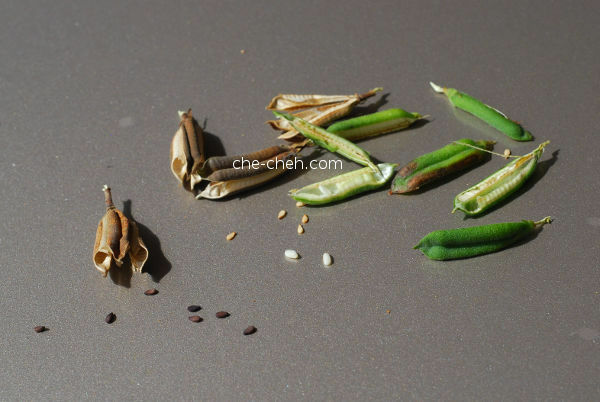 In this photo, you can see the raw form of sesame seeds (right), tan/white sesame seeds (center) and black sesame seeds (left). The tan and black seeds came from the same plant. 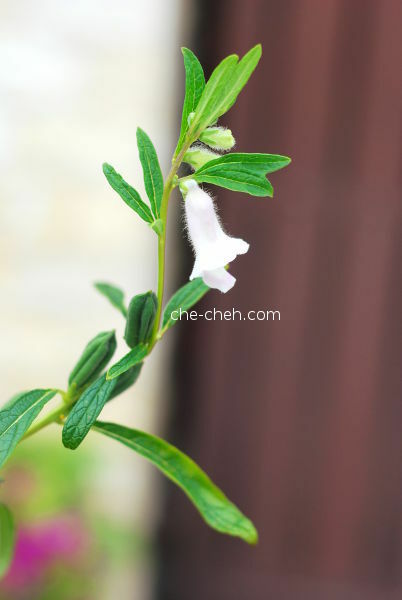 Thank you nature for giving me an unlikely present in the form of sesame plant. Learned quite a few things about sesame. I hope you do too. 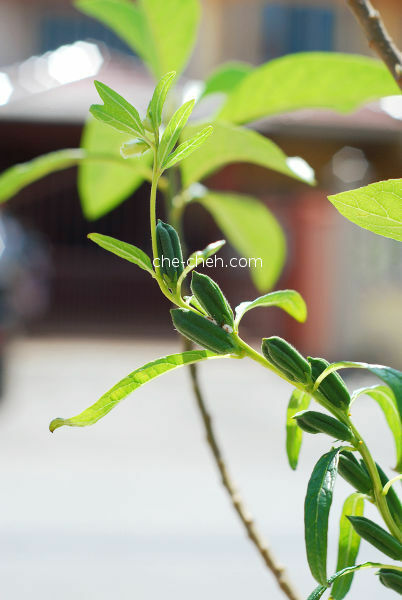 Tsk, I realize that sesame plants thrive in tropical climate. How come Malaysia doesn’t grow them? Or maybe we do, just that we I don’t know about it.